My Search for a Home: Trading up estimate = 17 Times for a Condo! Maybe people will just laugh at this or maybe you will find it EXCEPTIONALLY interesting. I am looking to trade my Hot Wheels 2008 Dodge Challenger for something more valuable. I have even done the math. If I keep trading up for something that is at least twice the value it only takes 17 times and I should be able to trade and get a condo. And $260,000 should be enough to trade and get a condo here in Toronto. So it should be possible to do, but it is going to take effort to get the ball rolling. 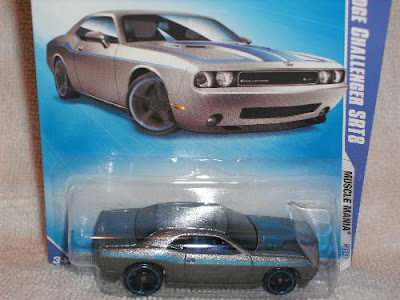 Just think of all the hours of fun you could have with a Hot Wheels 2008 Dodge Challenger! Plus I am throwing in a link to your website (or charity of your choice if you don't have a website) to sweeten the deal.